Logan Review | Nerd Much? When it comes to X-Men movies, the franchise has been very hit and miss in terms of these films both resonating with fans and simply not reducing their plots into mindless fanservice. The Wolverine films have debatably suffered the worst from this as the first solo film was a complete mess while the second was decent but fell apart near the end. Enter Logan, the final Wolverine film for actor Hugh Jackman and the second R-rated X-Men movie to come from FOX. While the rating of a movie typically doesn’t make that much of a difference, the mature aspects you typically can only discuss in an R-rated movie works wonderfully with the story of Wolverine. Yet, where Logan really shines is in not only its deconstruction of the genre, but how incredibly refreshing, emotional, and powerful everything appears to be. To be clear, in theory, Logan should not work because it’s effectively a superhero movie without any of the superhero bits outside of some nifty powers a few of the characters have. In fact, Logan has far more in common with the crime and dystopian genre than anything else. There are no flashy costumes, barely any call backs to the other movies, and even the villains (for the most part) are more grounded within the world itself. It works wonderfully as a deconstruction for this particular genre, as director James Mangold begs to ask the question what exactly defines this as a superhero film? Logan is set years into the future where most of the mutants have either been killed or vanished, the X-Men are gone, and Wolverine is reaching the end of his life. Eventually, Logan comes into contact with a young girl named Laura (Dafne Keen) who is on the run from a military organization that are seeking to recapture her for reasons unknown. One thing leads to another and eventually, Logan is roped into protecting her and escorting her to a supposed safe zone somewhere in Canada. Where the film gets interesting is the depiction of our main hero, as Wolverine is no longer the man he was and is simply a beat, broken person who has once more watched all his friends and family come and go. This is a make or break performance and thankfully Jackman nails every moment he is on screen as both the visceral and deeply emotional moments hit hard. His character has aged significantly to the point where even his healing powers are failing rapidly, which both not only allows the film to raise the stakes but answers the question of how one actually stops the Wolverine. There are no heroic moments in his life anymore as he simply tries to survive all while taking care of a rapidly deteriorating Professor X (Patrick Stweart) with the help of the mutant Caliban (Stephen Merchant). He leaves everything on the floor here and undoubtedly gives one of the best performances of his entire career which begs the question if this character can even be recast down the road. Yet, the real star of the film is undoubtedly Laura aka X-23 who surprisingly remains mute for a majority of the film. Keen is a revelation and there’s no doubt she just rocketed to the top of a lot of casting lists after this performance, mainly thanks to her terrific emotional range. Going beyond that, this girl is a complete badass and her fight scenes are some of the coolest and most violent put onto screen in recent years. She has wonderful chemistry with the rest of the cast and one can only wonder if she will get her own solo movie from this later down the road. There is just enough of her backstory offered to shed light on why she acts the way she does and most of her actual personality is displayed via her interactions with the world around her and Jackman. Patrick Stewart delivers another wonderful performance as Professor X and with the exception of one surprise villain near the second half of the movie, the antagonists are both charming and threatening enough to not get lost in all the chaos. Which, and let me be clear here, is absolutely awe-inspiring. It’s always been rather amusing to watch directors take one of the most violent weapons even conceived and then try to work it into a PG-13 movie without any blood or gore. Yet, from the very first scene with Jackman it’s clear Logan is not holding back in terms of violence as limbs are severed, heads removed, soldiers disemboweled, and blood coats everything Jackman touches. However, Mangold wisely keeps the gore and violence from reaching Tarantino levels of silly with much of the action feeling nothing short of down and dirty. The combat is easy to follow, but there is a sheer weight and grittiness to every aspect of it. Thankfully, the action is not overwhelming in terms of the actual story as it has enough screen time to leave a gruesome impression, but doesn’t make the movie only about killing. It’s exactly what a Wolverine movie has needed and will sure cause a lot of vocal reactions from the audience for some of the more brutal kills. Complimenting this is the wonderful score and cinematography that perhaps makes Logan one of the best looking superhero films made within recent memory. It’s a sad, tragic, and often depressing film that conveys this both through the story itself and its rather muted color pallet. Scenes are wonderfully composed and the lack of huge elaborate set pieces, except for the end, makes the world of Logan feel far more believable and real. Make no mistake, Logan is undoubtedly the best X-Men movie ever made and it ranks up there as one of the best comic book films ever produced. Not only is the story a perfect, if not tearful, send off to the character but there’s a level of respect for the character and fans clearly on display. Action is everything any Wolverine fan has ever wanted and despite an odd choice for a surprise act two villain, everyone works wonderfully within the plot. 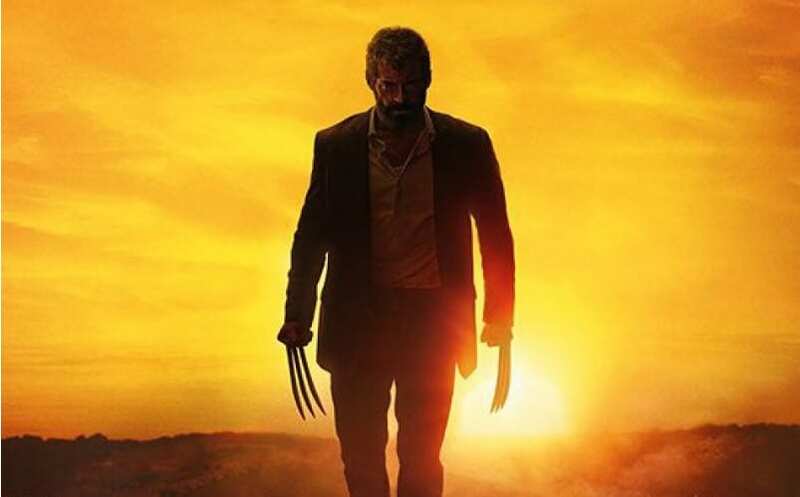 Logan is an uncompromising movie that not only comments on the nature of superhero movies but what it actually means to be one of those characters. This is a movie that will be remembered for the ages.